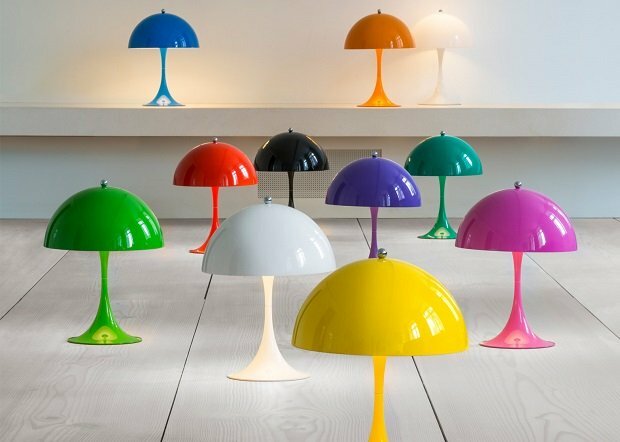 ﻿Louis Poulsen has re-launched the lamp which was originally designed for the Radiohuset building in Copenghagen. The new series of lamps under the name of VL38 features a table, wall and floor version. The VL38 family features a lamp head which is organically shaped and painted white with the arms of the light fittings made of brass, and fitted with an LED light source. Rasmus Markholt, Design Manager at Louis Poulsen says “From the perspective of design, the VL38 family is related to the chandeliers Vilhelm Lauritzen created for Radiohuset. It is an extremely simple, function and elegant series of lights, and the combination of white and brass is both beautiful and timeless. The shape of the lamp head directs the light downwards, so it always provides pleasant, non-dazzling illumination. 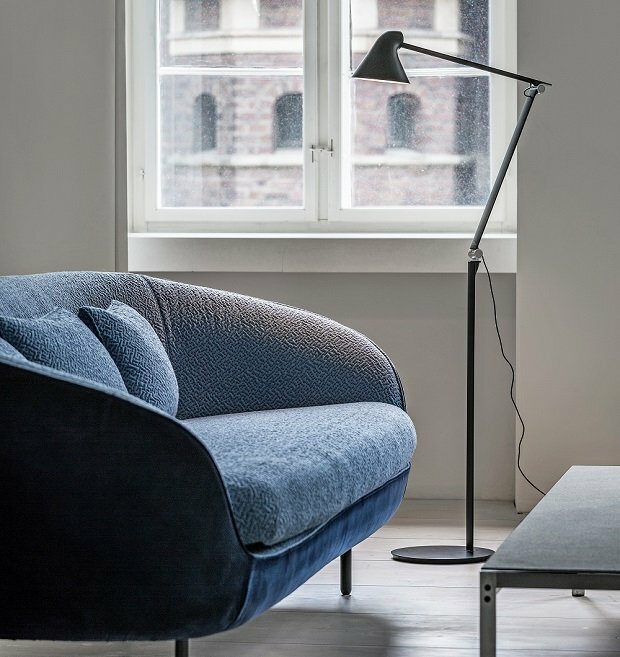 All the lamp models are typical examples of Vilhelm Lauritzen’s approach to a modern and functional design idiom that also distinguishes his architecture”. 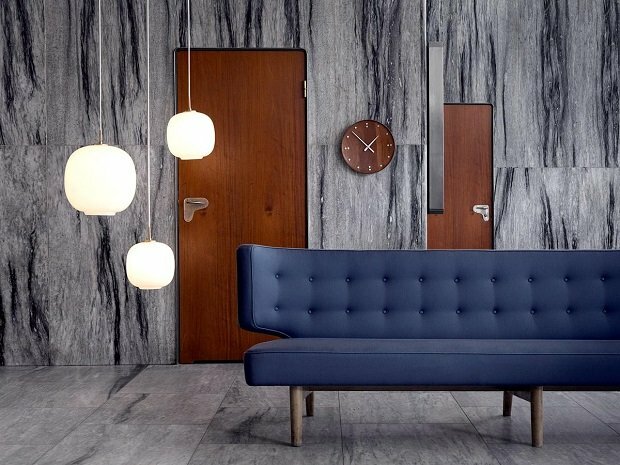 The Patera 45 Pendant is a new smaller version of the original design, a creative result of the relationship between Louis poulsen and Øivind Slaatto. The Original pendant was launched last year and became an instant success with is organic shape and beautiful structure. 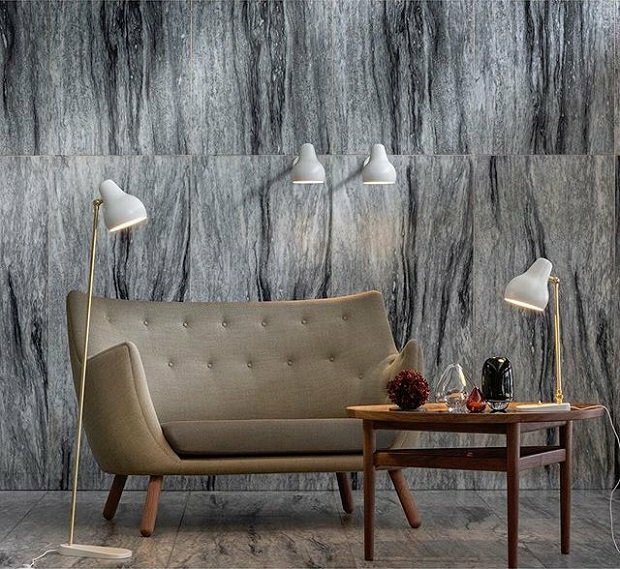 The Patera Pendant is now available in its standard 60cm size as well as the new smaller 45cm version which are both available in E27 and LED versions. No matter what angle you view the patera, it is a attractive, decorative globe of light which streams out gently in all directions. 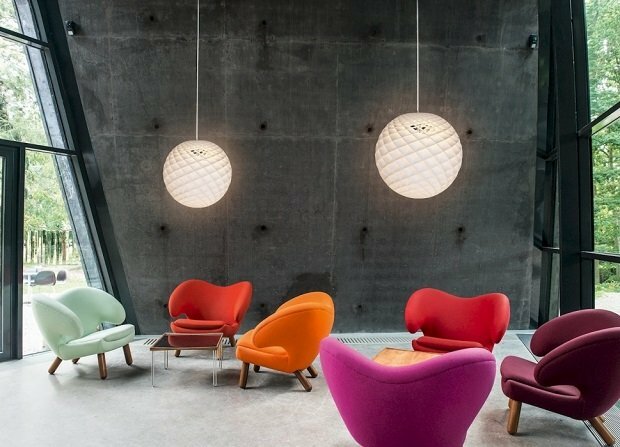 Design Manager at Louis Poulsen, Rasmus Markholt highlights the ease of placing the light as one of the reasons to it popularity. “At first glance, it appears to be nothing but a white, perforated ball, but closer inspection reveals its detailed design, which features a host of circles, angles and holes. Øivind Slaatto has created a pattern that is exciting and enchanting to look at, because it is mathematical, natural and poetic all at once,” adds Rasmus Markholt. It is intended to serve as a modern chandelier, a lamp that ties the space together making the room more welcoming and accommodating. 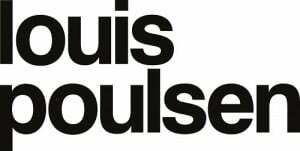 ﻿﻿﻿﻿﻿To view the whole Louis Poulsen range click here!